How to describe Set It Off? Musically they’re in one of those places where genres just can’t give an accurate description. iTunes lists them as “alternative,” but they hardly sound similar to other music in that genre. Some places classify them as “pop punk” but again, it’s a stretch to say they sound similar to The Wonder Years or The Story So Far. The best description of their sound comes from the band’s Facebook page, which places them in “orchestral pop rock.” It’s hard to imagine what that actually sounds like, but after listening to a few of their songs, you can start to understand where each of those three parts come from. 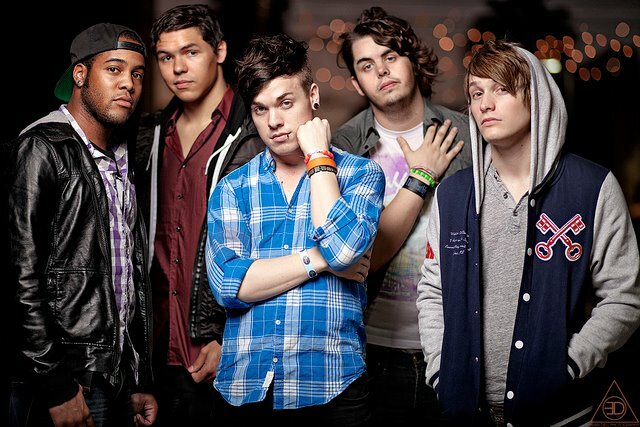 Set It Off come from Tampa, Florida and since forming in 2008 the band has made quite a statement in the alternative rock community. Their early music has the raw sound of a band figuring out who they want to be. Their first two releases–EPs in 2008 and 2009–showed great potential that caught the attention of Equal Vision Records who signed them in 2011. The band’s sound became much more defined and professionalized. Through Equal Vision, the band re-released their EP Horrible Kids in 2011, a collection of songs about how it feels to be bullied as a young person and the importance of having confidence. With this re-release, the band gained a lot of media attention and praise. These reviews fueled more expansive and exciting tours for the band and opportunities to share the stage with bands like My Chemical Romance, We Came As Romans, and A Day To Remember. Touring so extensively solidified the band’s passion for performing and fed their desire to make more music. In 2012 Set It Off released their debut full length album, Cinematics. The 12-track album opens with an instrumental hinting at the album’s theatrical and symphonic qualities. Cinematics has less specific content than Horrible Kids does, letting the focus for the album weigh more heavily upon sound. Songs on the album like “Swan Song” and “Plastic Promises” show maturity and development as Set It Off find their own sound. A mix of expressive vocals, strong guitar pieces, and subtle yet influential orchestral melodies make Set It Off ready to inspire the world. The song “Dream Catcher” wills the listener to find their passion and follow it no matter what others may think, while “No Control” deals with the tough situations that we all face in life. Describing Set It Off as a whole is hard to do; friends have described them as a mix of energy and emotion and have compared them to the sound of My Chemical Romance and the theatricality of Panic! At The Disco. One thing’s for sure though: they are captivating in both their records and at live performances. Set It Off supported We Are The In Crowd on their latest US tour, Reunion Tour, which stopped by THE GARAGE in early March. Every member jumped along with the music and gave their all for the entirety of their performance. Singer Cody Carson climbed the speakers then came crashing down to the ground in time with the music, and made sure to hold hands with as many people as he could reach. Luckily, we are due for a return from the band. Headlining with Our Last Night on the Come Alive Tour. 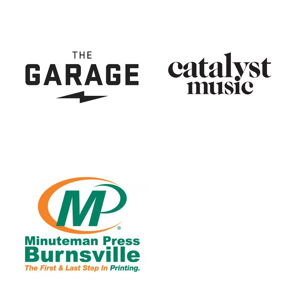 You can catch them at THE GARAGE on July 27th at 5pm. If you liked Cinematics, keep an eye out for new music from Set It Off due to be released sometime later this year.